KowCast Ep. 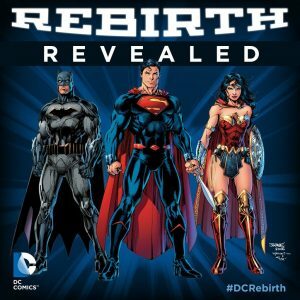 3 – DC Comics Rebirth Recap – Kow Cast! Your Kowabunga Comics Podcast. In this episode, Eric and James recap the DC Comics Rebirth Retailer Summit, with special guests Dan DiDio and Jim Lee! (sort of) Hold on tight for a somewhat lengthy recap of Hanna Barbera, DC’s Young Animals, and the DC Universe! You can follow us on Facebook @ www.facebook.com/incredicow, on Twitter @Incredicow or on the web at www.kowabungacomics.com.